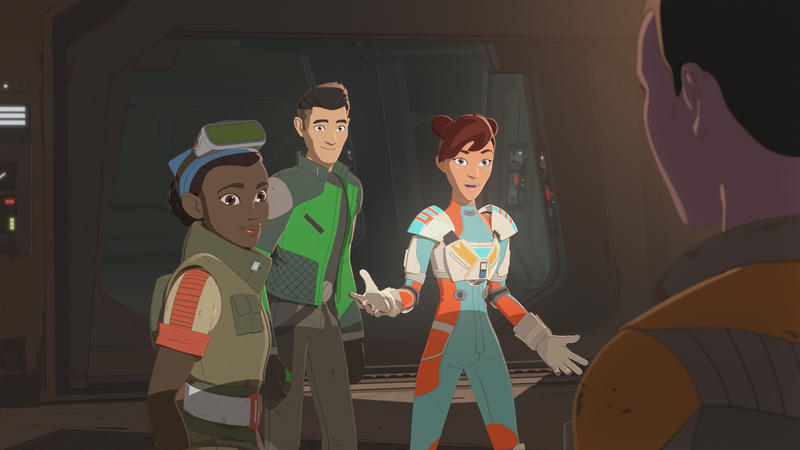 Star Wars Resistance is heating up! The idea of trading freedom for security is close to home in today’s political climate. Now Star Wars is bringing back that theme which defined the conflict in the prequels. Sheev Palpatine’s Empire was birthed from the creation of a clone army created with the false-intention of protecting the Republic. Much like our world today, history repeats itself. Unlike last week, this week’s episode moved along swiftly with a nice blend of humor, plot-pushing, and action. The writing is on the wall, and it is clear the First Order is making a move. Preying on the vulnerabilities of those that may not being able to fully defend themselves, the First Order is lending a hand to Captain Doza to protect the Colossus. In reality, that hand they are lending is simply opening the door for them to completely takeover. This episode felt like Star Wars to me in that it invoked the spirit of friendship, added some fun flying action, and some diabolical scheming beneath the surface. I am finally beginning to see the true protagonist core crew take shape and its not the ACES at all. 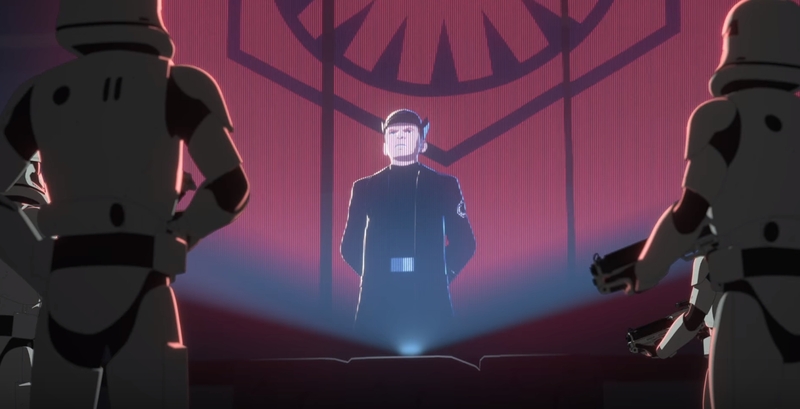 This show’s true heroes are Kaz, Torra, Tam, Neeku, Synara, and our buddy BB-8. That takes me to my only main issue with this episode, and perhaps a trend I’ve been noticing this season. The ACES are sort of…irrelevant? Heading into this series I thought the ACES would serve as the main characters, almost like the Power Rangers or Voltron in a way. That is clearly not the case at all. For example, Donald Faison’s character Hype Fazon was featured in a major action scene in this episode and I don’t think he had a single line of dialogue. Perhaps it’s a budget thing? Either way I am surprised by the characters that are turning out to be the focal point of the series, but in a good way. I am really starting to warm up to this crew of young future-rebels figuring things out for themselves. 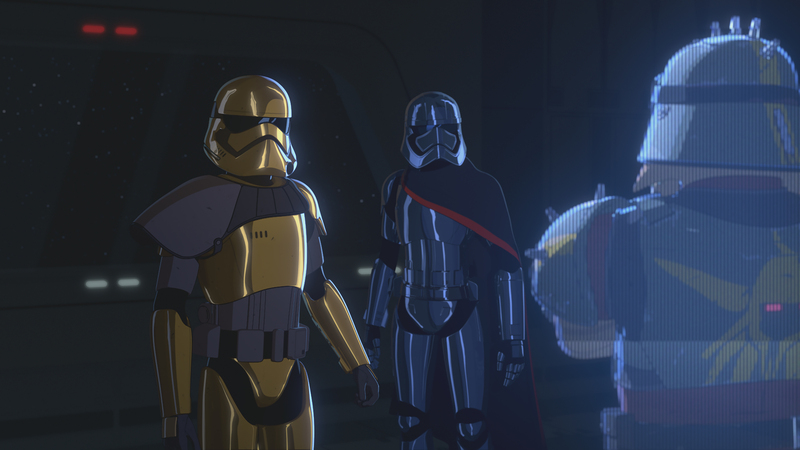 We have eight episodes to go in season 1, which should conclude just before Star Wars Celebration, which makes me wonder – Is it possible we’ll see a teaser for season 2 at Celebration? 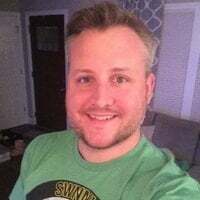 Without getting ahead of myself, let’s get through this season first, which by my guess will end with the destruction of the Hosnian System at the hands of General Hux and the First Order. 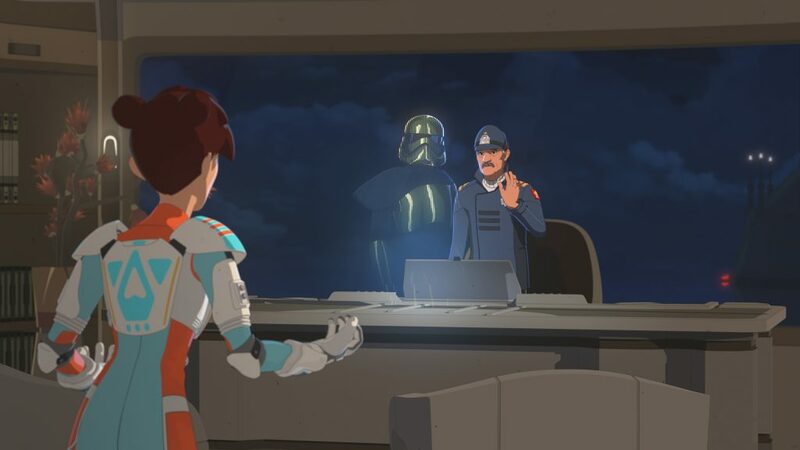 The next episode of Star Wars Resistance “The First Order Occupation” debuts this Sunday, let’s see where we go from here!